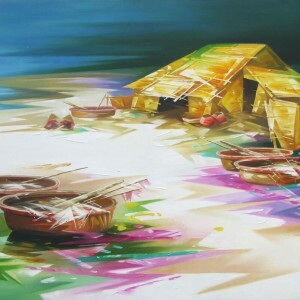 Coracle is a type of small, round wicker boat that has a long history dating back thousands of years. 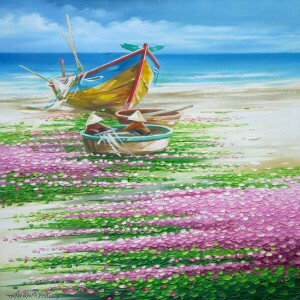 They are still popular in Vietnam. 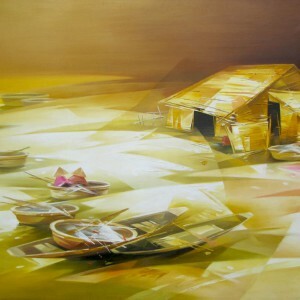 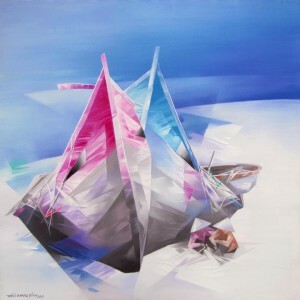 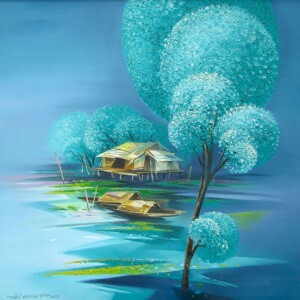 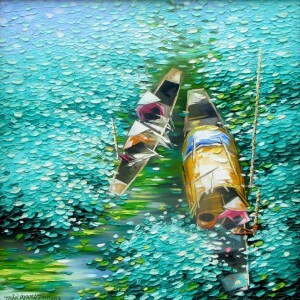 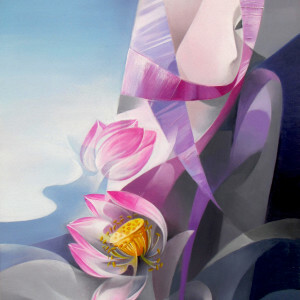 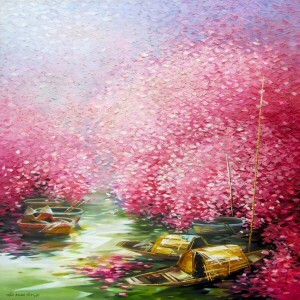 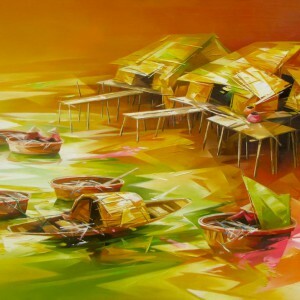 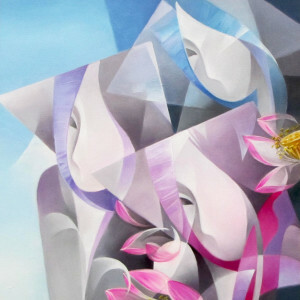 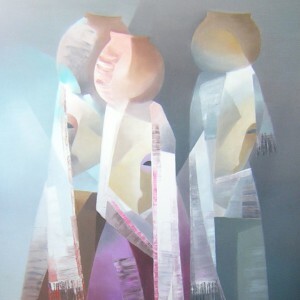 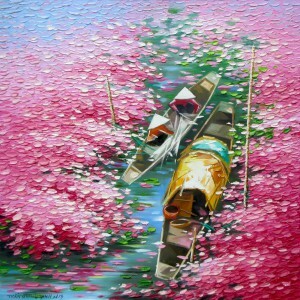 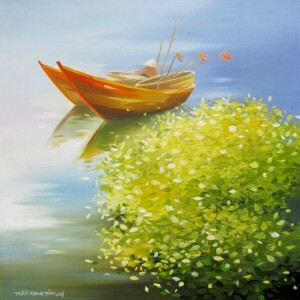 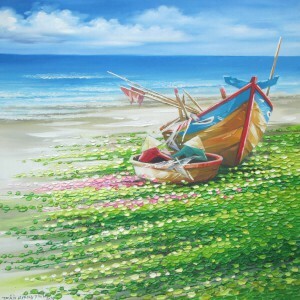 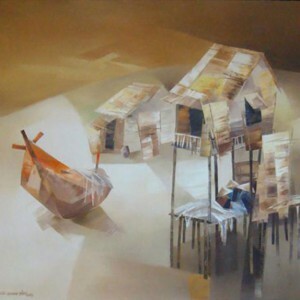 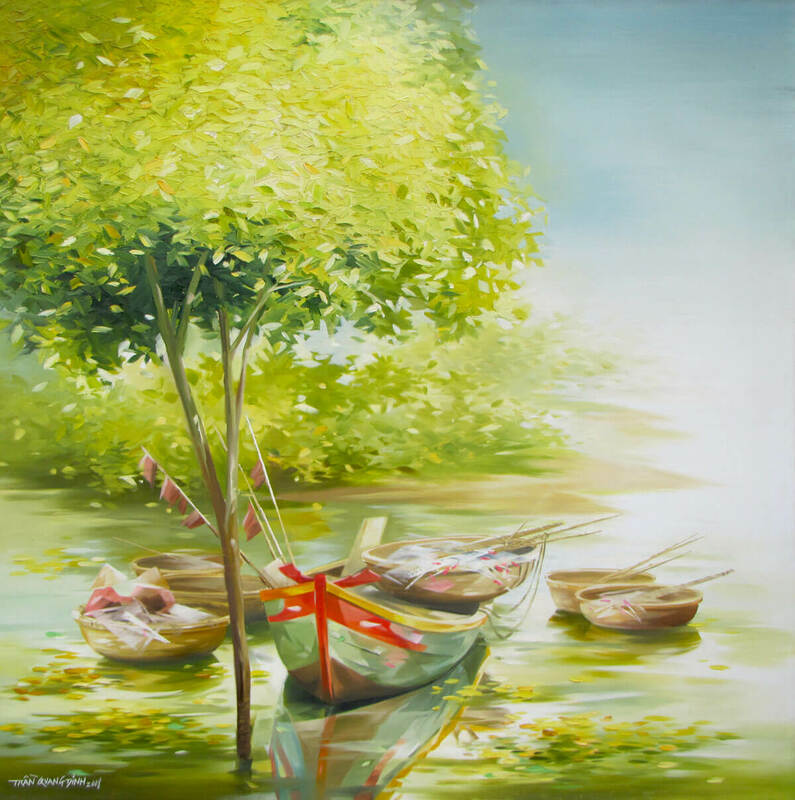 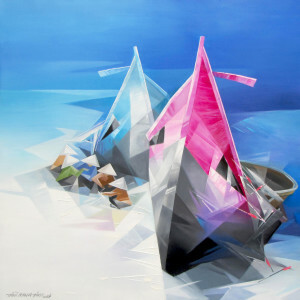 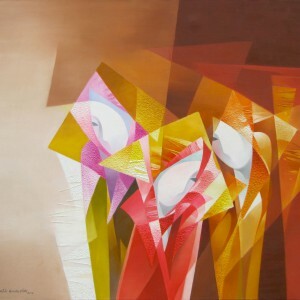 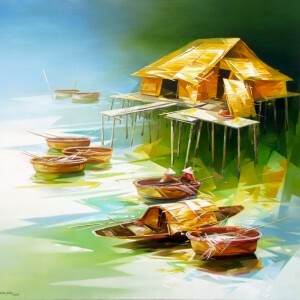 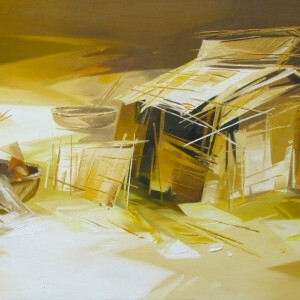 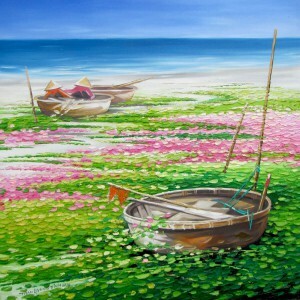 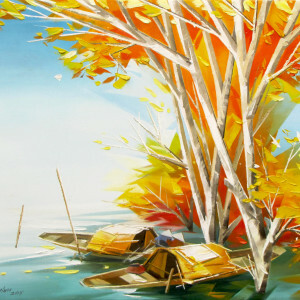 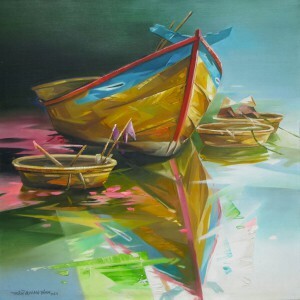 They inspired this contemporary Asian artwork by Tran Quang Dinh, in which he depicts resting coracles by an anchored boat on a swampy river bank. 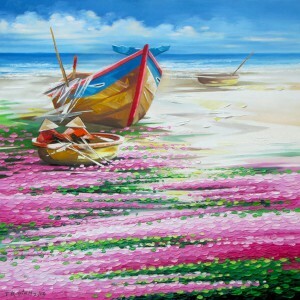 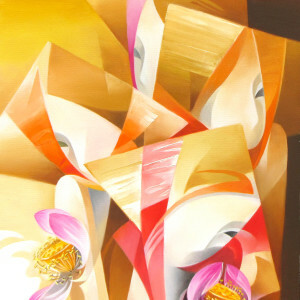 The composition is very appealing aesthetically.